Flooding of properties in Pilling and Smallwood Hey and surrounding agricultural land extending inland to Pilling Moss. The area bounded in blue on the map shows the area covered by flood alerts and warnings for Lancashire tidal breach at Over Wyre, Area B. Flooding of properties in eastern Knott End-on-Sea, Preesal, Smallwood Hey and Moss Side and surrounding agricultural land. 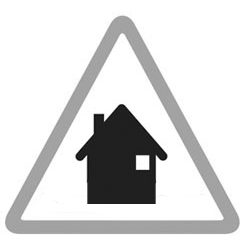 Properties including several farms and properties on Garstang Road, Peahall Lane, Moss House Lane, Lancaster Rd, Taylors Lane and Smallwood Hey Rd.